Press Release from the Covenant House. 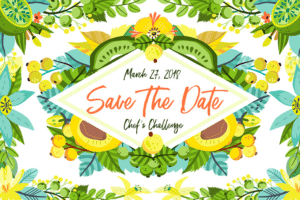 CHARLESTON, W.Va. – Covenant House is bringing a fresh, new take on its annual fundraiser, Chef’s Challenge. In place of the five-course, sit-down meal, Chef’s Challenge will be offering a Tapas-Style Dine-Around, serving carefully-crafted dishes by 15 of the region’s top chefs. To help add to the fresh, new spin, Chef’s Challenge will be moving locations this year from the Charleston Civic Center to the Grand Lobby of the Clay Center to serve cuisine from around the world ranging from pupusas, a Salvadoran street food, to bacon-wrapped dates to a dessert inspired by the Aztec leader Montezuma. WHEN: Tuesday, March 27 from 5:30 to 8 p.m.
WHY: Chef’s Challenge is the largest annual fundraiser for Covenant House, providing the critical support needed to help Kanawha Valley’s most vulnerable meet their basic needs: food, clothing and shelter. Of every dollar Covenant House receives, 83 percent goes directly to eradicating homelessness and creating well being in our community. For example in 2017, Covenant House helped more than 14,000 people receive food-insecurity aid through its choice food pantry. Covenant House is a social justice nonprofit dedicated to helping Kanawha Valley’s most vulnerable citizens meet their basic needs: food, clothing and shelter. Working in Charleston for more than 35 years, Covenant House is a safe haven for people in times of crisis, giving our community’s most vulnerable the tools they need to lift themselves out of homelessness and poverty. More info at wvcovenanthouse.org.